Other: Trademark of Frank J. Zamboni & Co. 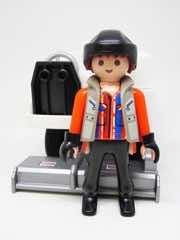 When I go to Toy Fair, I always peek in the Playmobil booth. 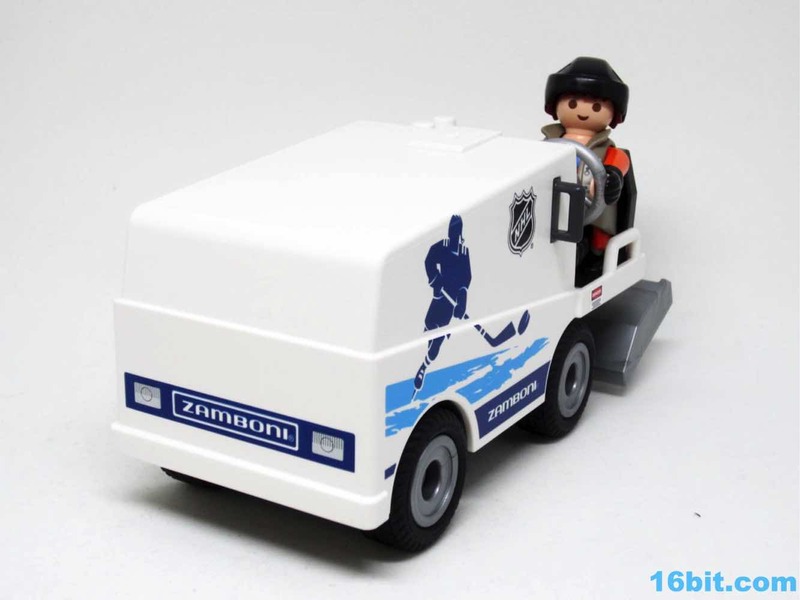 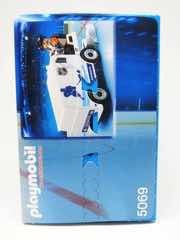 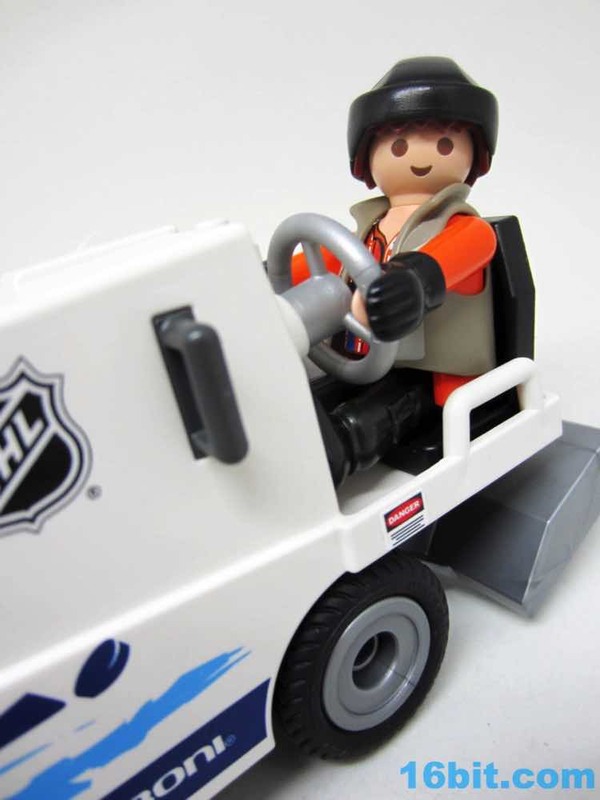 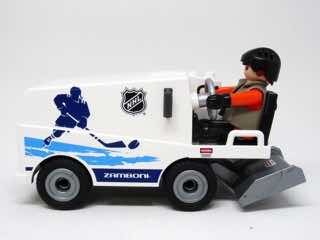 A few years ago I was surprised to see the Zamboni because the NHL theme wasn't in the catalog - I half-wondered if I imagined it, because really - what could be cooler than a Zamboni vehicle from the long-running German toy line? 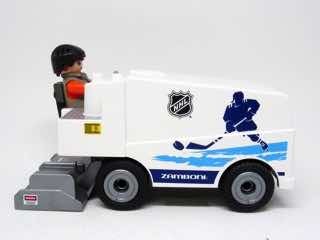 I've seen cars, but nothing beats specialized professional sporting hardware. 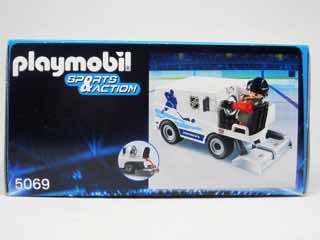 Like with most worthwhile Playmobil sets, you get a pretty complete play package - a vehicle and a figure, so you don't need to go out and buy more stuff. 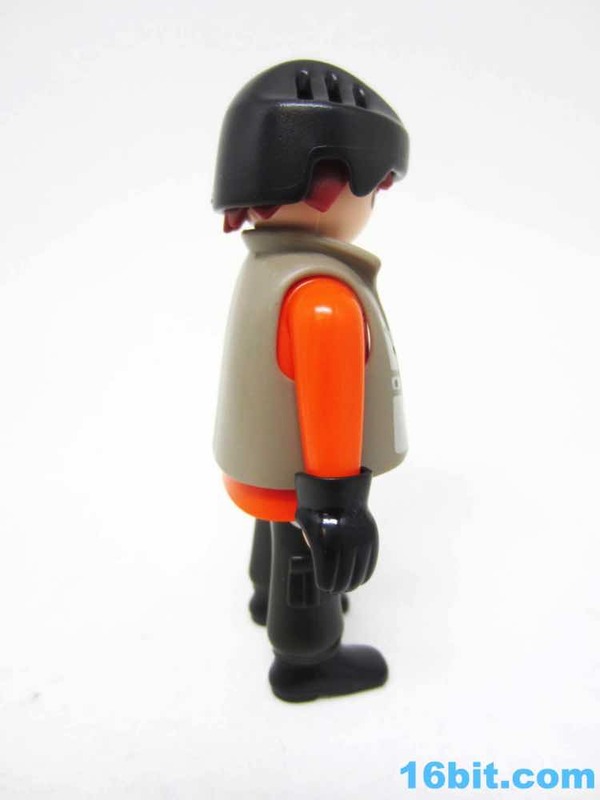 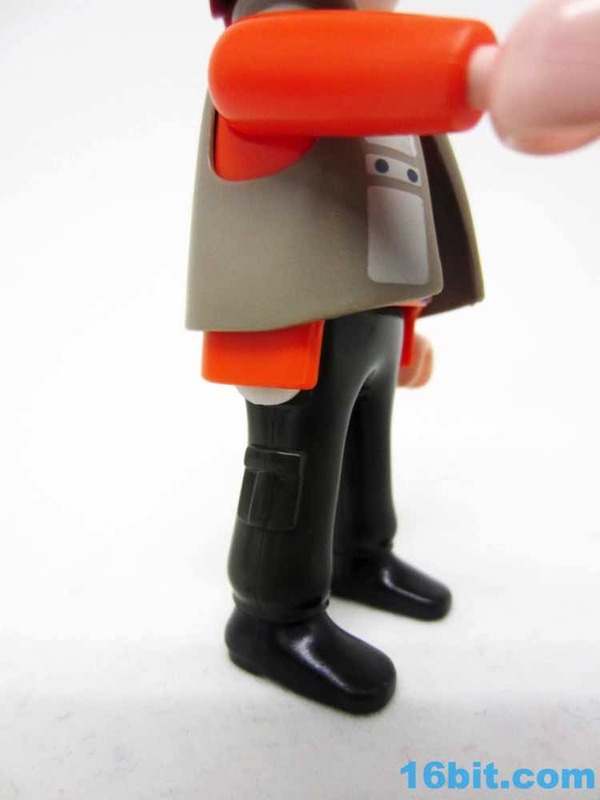 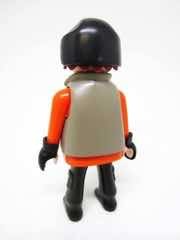 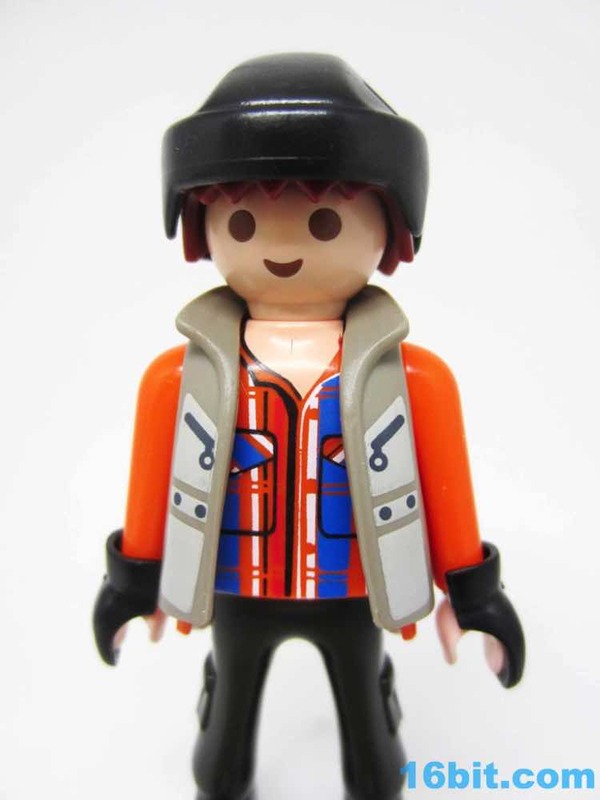 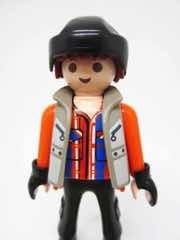 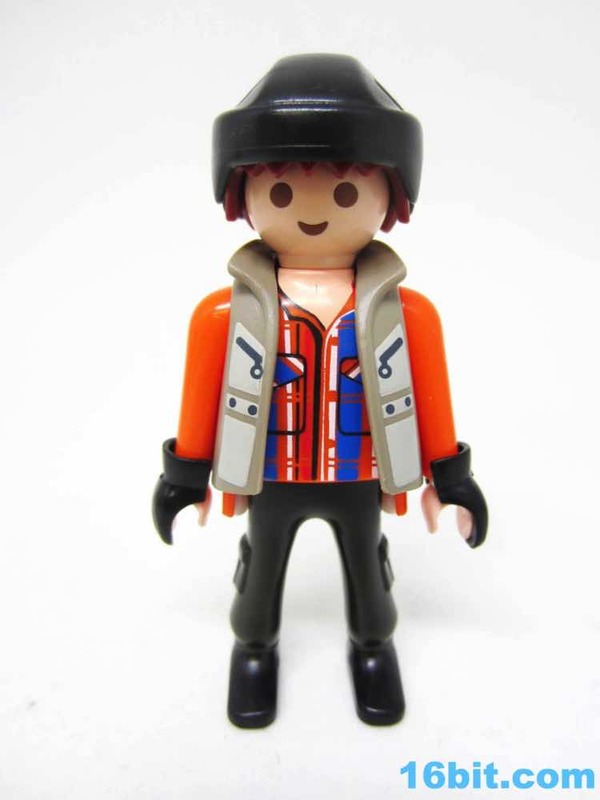 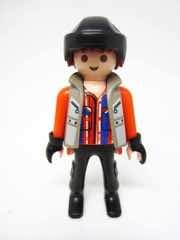 The figure has a vest and an open shirt, a hockey helmet, and snap-on black mittens. 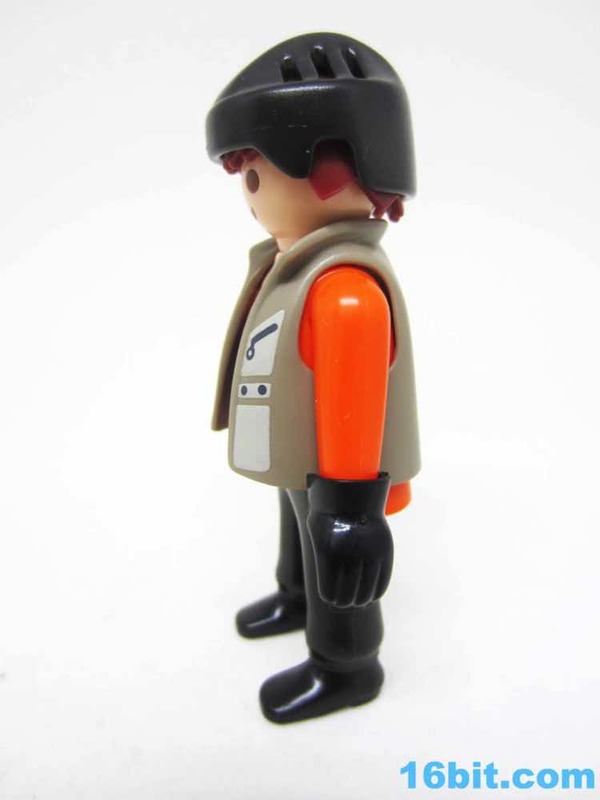 Unlike most sets, he has no hand-held accessories. 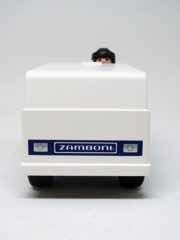 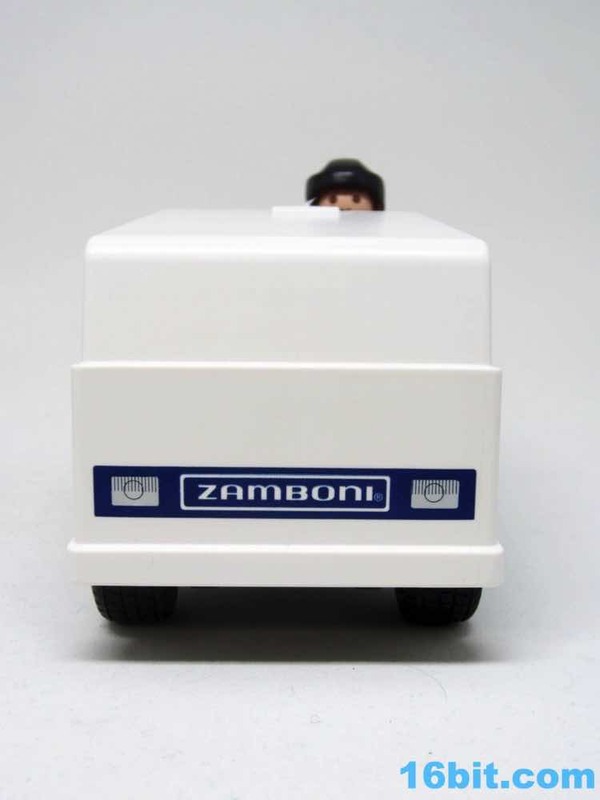 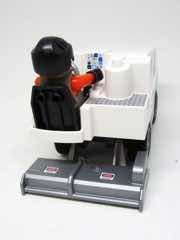 The figure is the same basic body you've seen a bajillion times, but more Zamboniy. 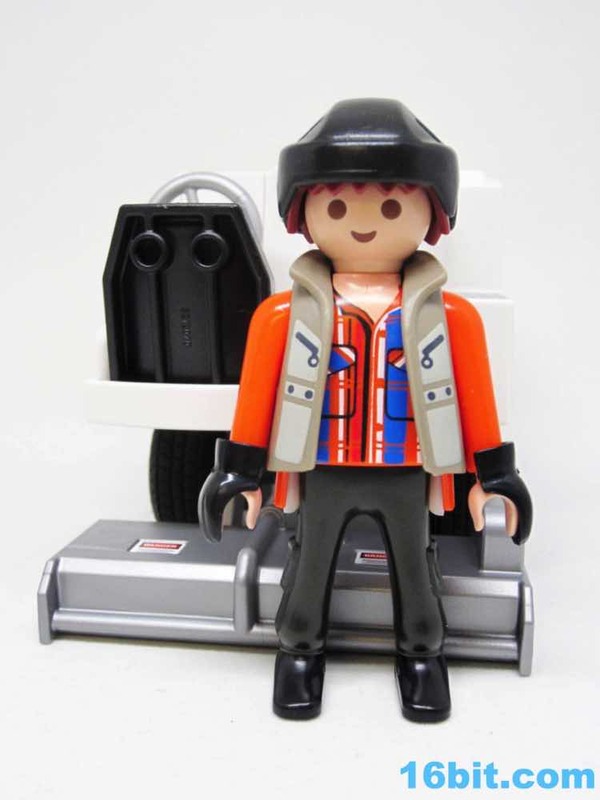 Because it's Playmobil, the figure has no problems standing, sitting, or fitting in the driver's seat of the vehicle. They even designed the vehicle so he'd sit perfectly well in it. The orange jacket presumably keeps him warm, at least I've heard no complaints. 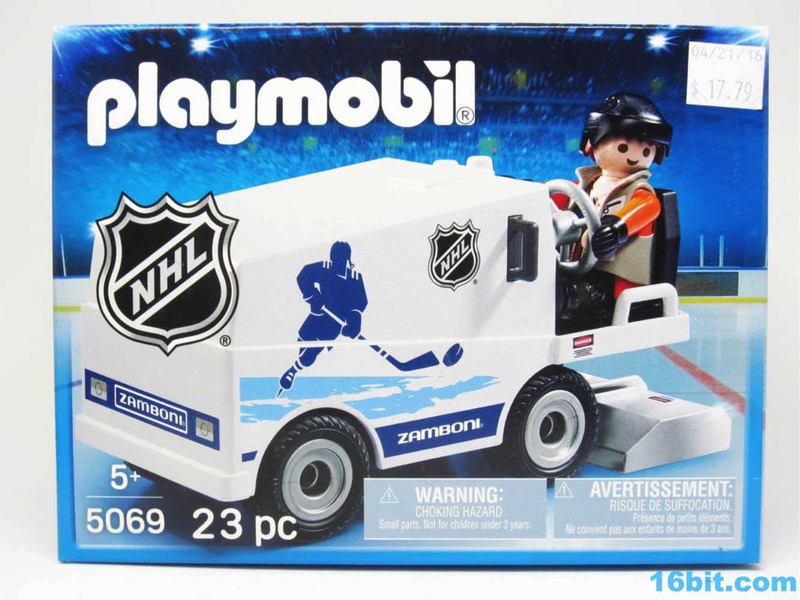 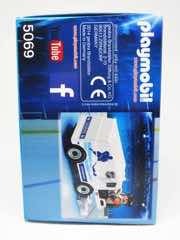 While the figure is nice, it's the ice resurfacer that drives the purchase. 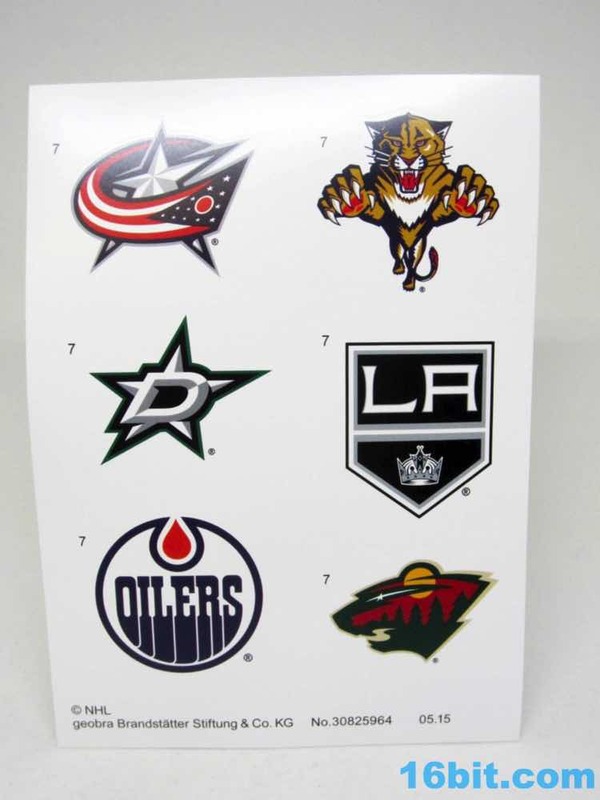 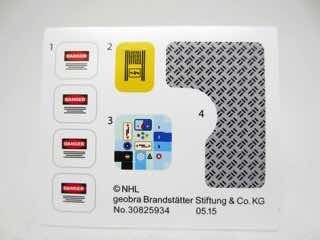 The vehicle requires some assembly, including a small sticker sheet with multiple bonus sticker sheets with logos for nearly every NHL team. 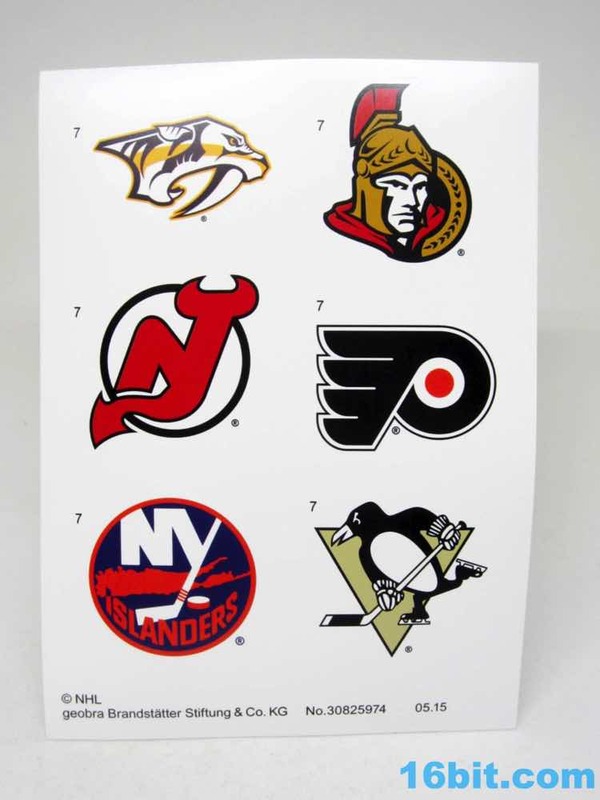 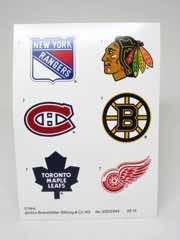 (The Whalers logo was absent, because the Whalers are absent.) 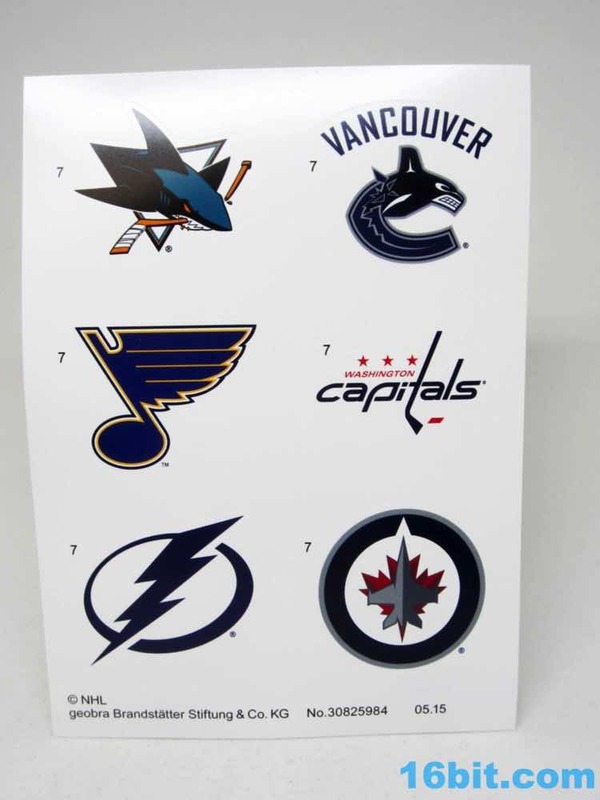 The whole thing snaps together in a few minutes, with numerous pre-printed graphics on the sides. 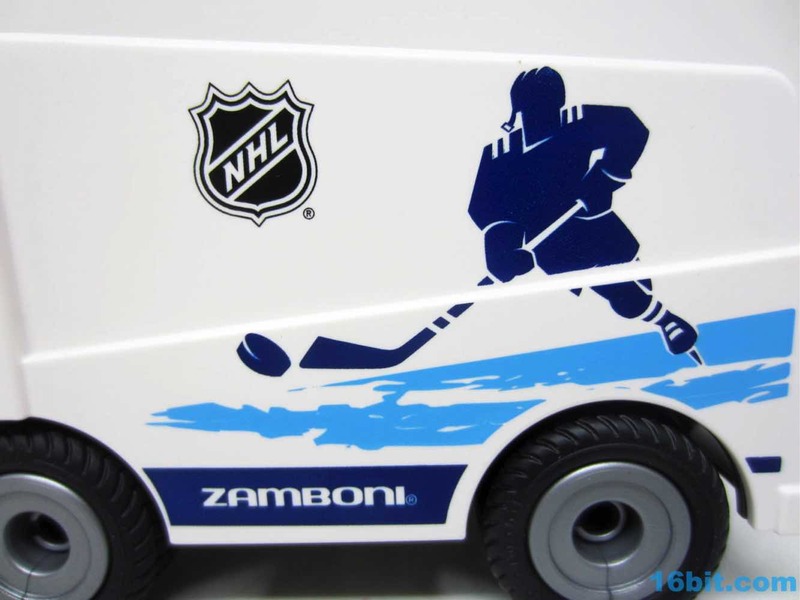 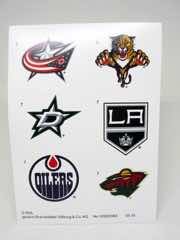 The Zamboni logos, the hockey player, and the logo and lights on the front are all printed directly on it. 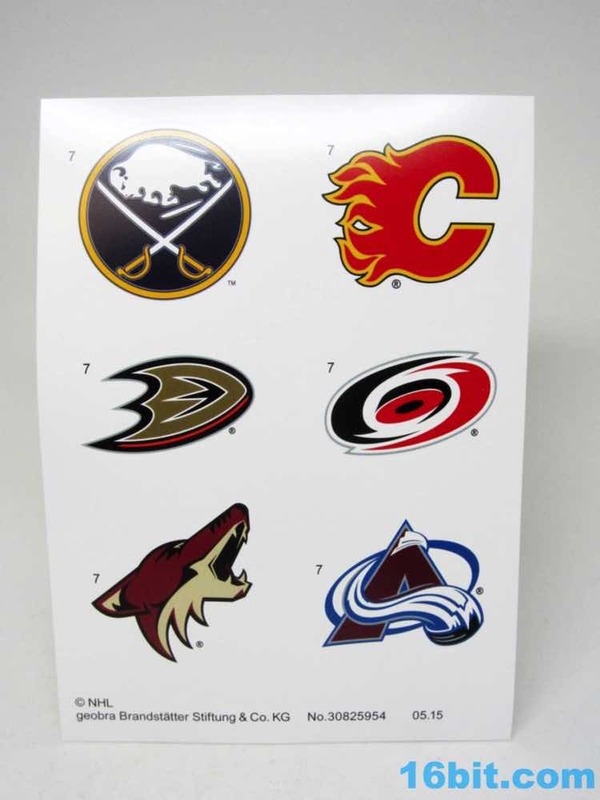 This is good, because you get nice, detailed graphics that you can't screw up by putting on crooked. 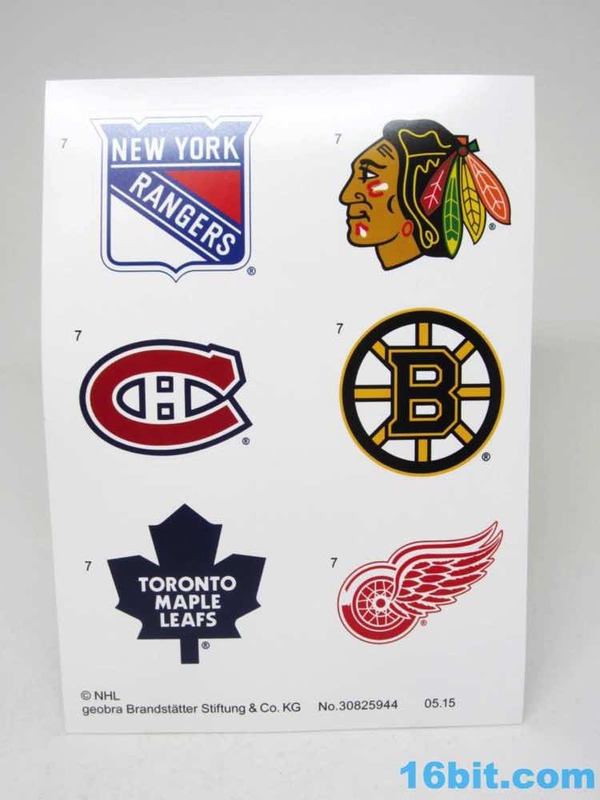 This is bad, because lights-as-stickers means that they don't actually work or have the clear plastic to look like they may work. 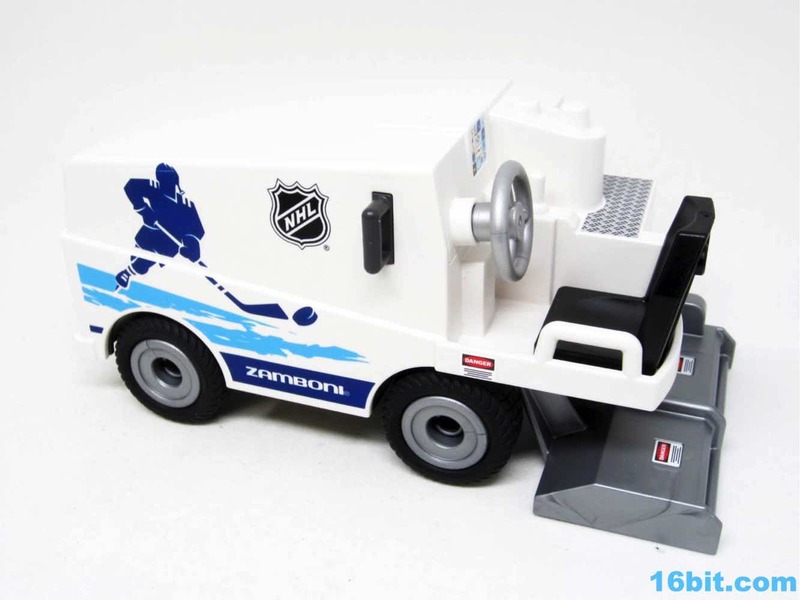 Having seen actual Zamboni reference shots, though, the real vehicle also looks sort of like they're just printed right on the front. So maybe they did the right thing here. Numerous caution stickers, fake diamond plate, and a control panel make this a pretty distinctive vehicle. 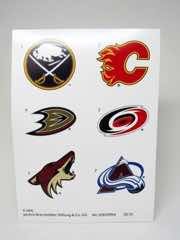 I elected to leave the team logos off for now, mostly because I'm not a big sports guy and it looks just fine without them. 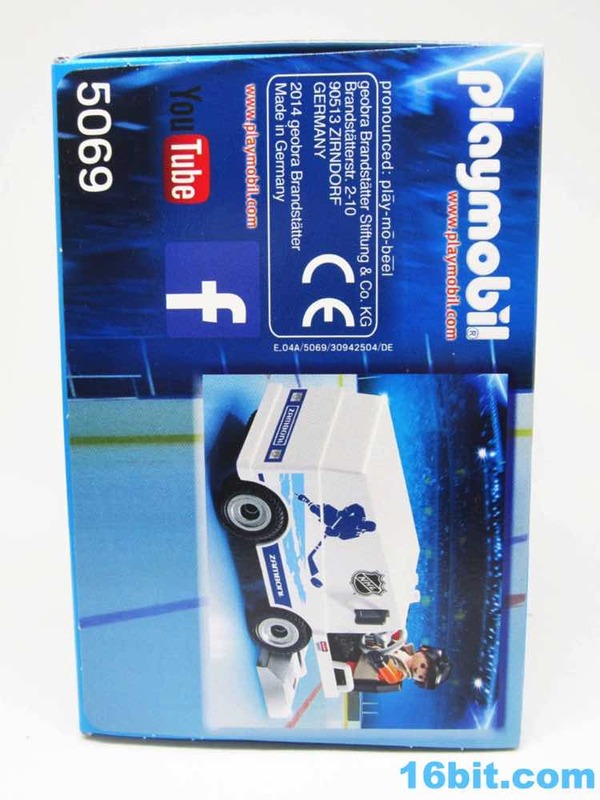 In reality, the gizmo is customized with team logos or marketing for various advertisers. 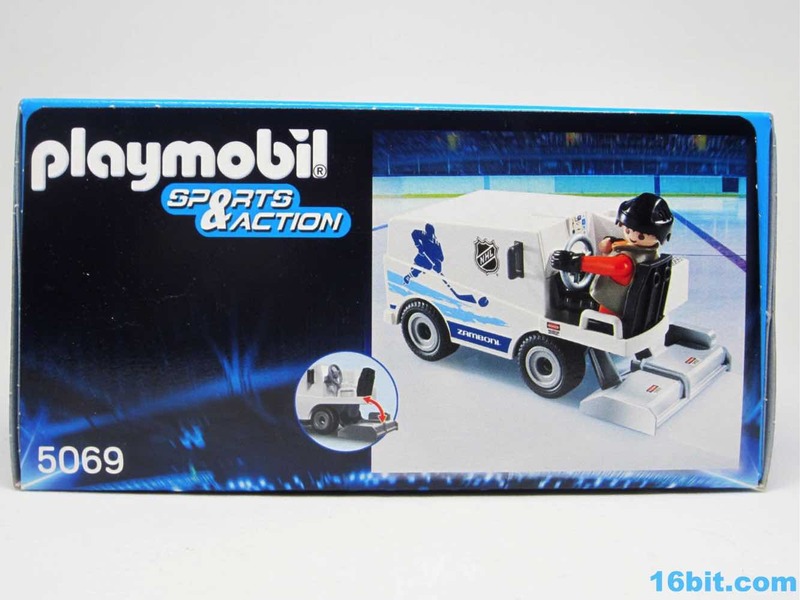 Whichever decorations you choose, the boxy white ice machine has a gravity-controlled element in the back that drags behind the four rolling rubbery wheels. 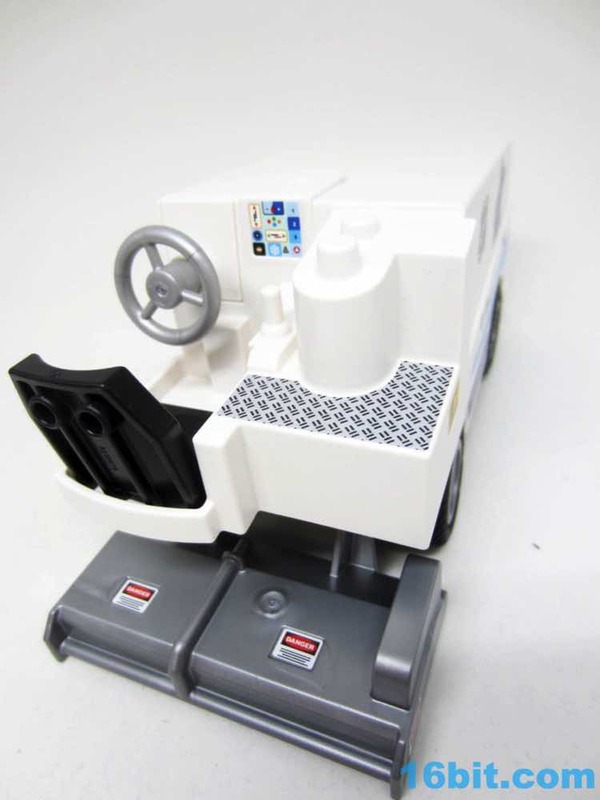 It's worth noting that the articulated grey conditioner serves as a brake, so the ability to tilt it up if you want to roll it around is quite helpful. 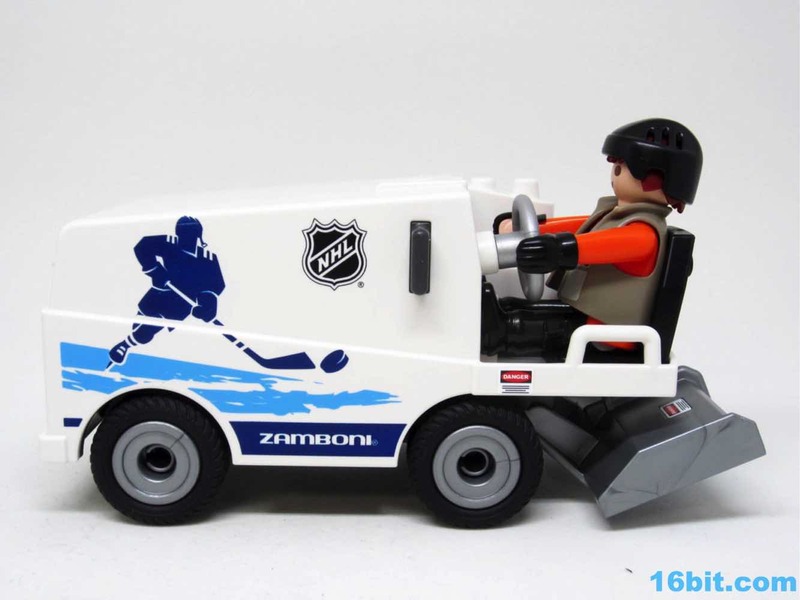 The niftiest thing about the design is that the seat for the driver is a little off-center from the steering wheel. 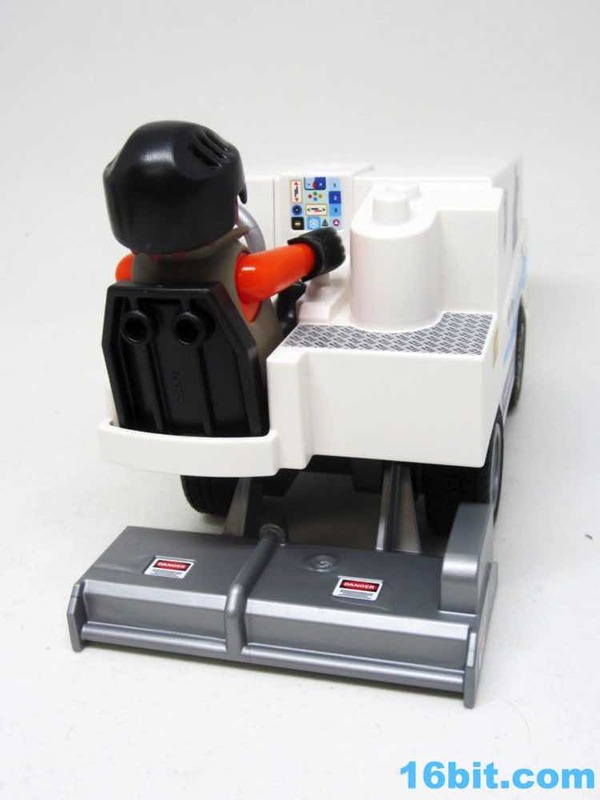 This allows the driver to have one hand on the wheel and another on the controls, allowing for a pretty great complete package. 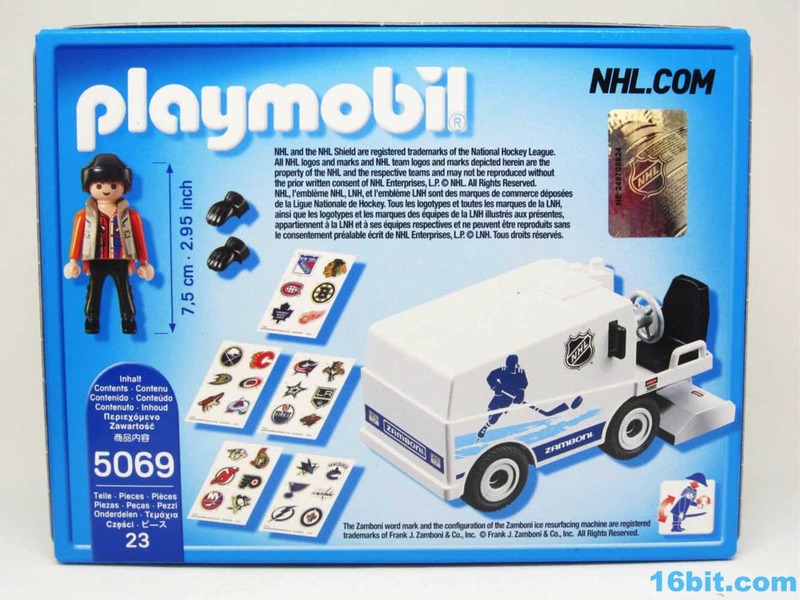 I have a hard time saying it's worth $20, but it's certainly novel enough that fans of the line should track it down - and if it's on sale, there's no good reason to skip it. 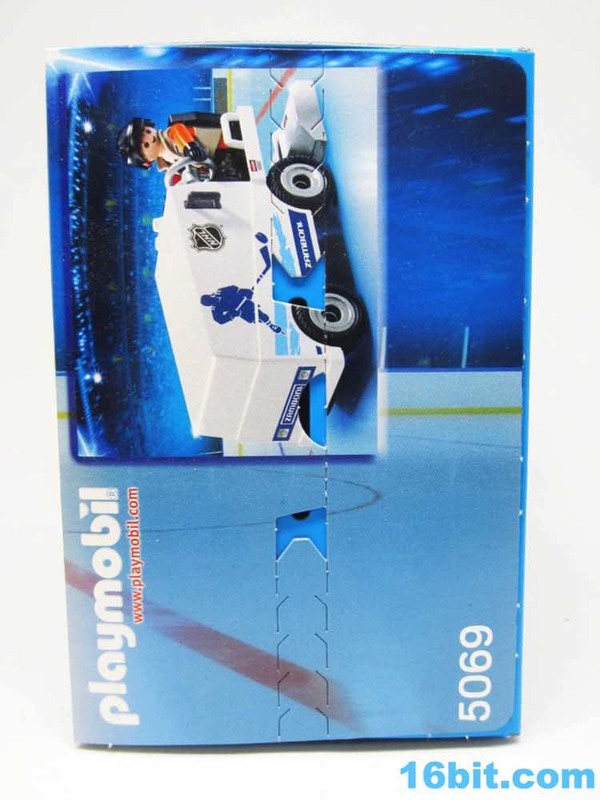 The printing is very impressive while the sculpted detail doesn't really exist thanks to the flat and boxy nature of the design, making this one of the more curious choices for a Playmobil vehicle in recent years. It's good - but it doesn't deliver the wacky, cheap fun of some of the other sets. 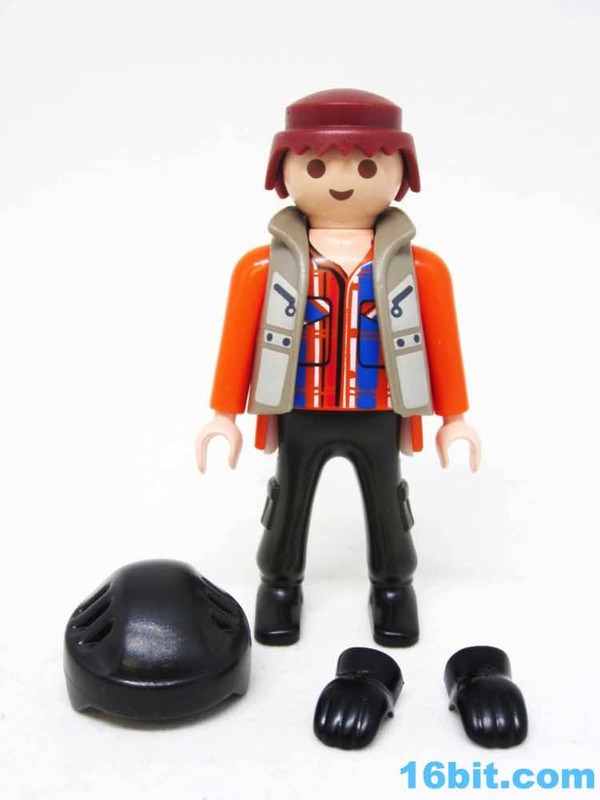 Thankfully it does deliver on the promise of Playmobil's generally sturdy design philosophy.